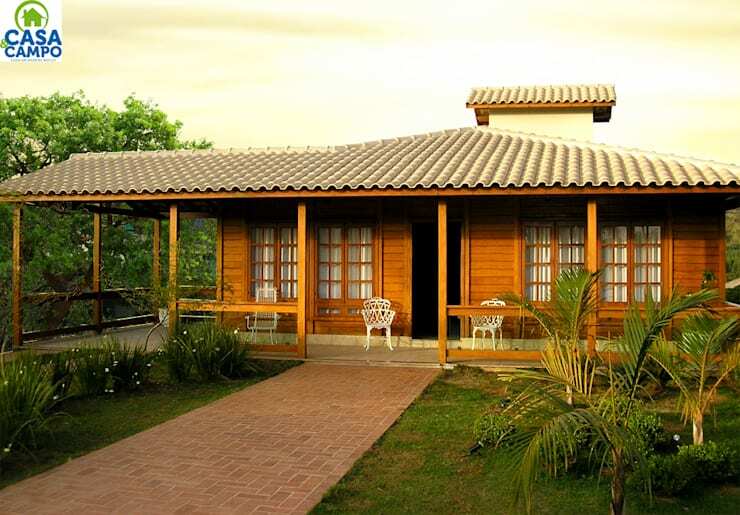 The path that leads to the entrance of your home is an important feature. Not only does it have the practical role of creating a smooth and level walkway, a suitable choice of materials for paving the path can also enhance the façade of the house and add to its beauty considerably! 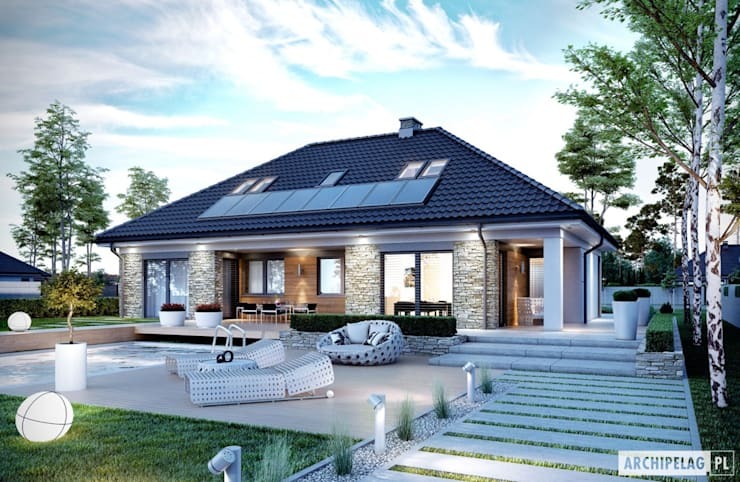 With a variety of materials to choose from such as brick, stone or even artificial ceramic tiles, let’s have a look at some walkway designs and the houses for which they would be most appropriate! A solid brick walkway through untamed greenery perfectly accessorises the warm, rustic ambience of a wooden residence, adding a touch of orderliness and security to the cosy and welcoming look of the façade. Here we have another brick path, but this time, instead of rectangles, the bricks are in the shape of octagons in varying hues of brown. 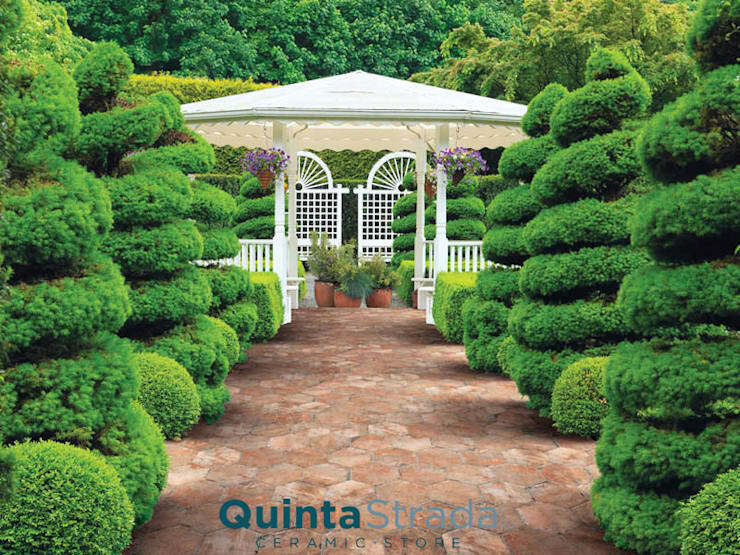 This gives a more ornamental look to the walkway, and is ideal for a private garden path elegantly bordered with decorative green trees en route to a pretty gazebo. This entrance path uses the same material as the house. 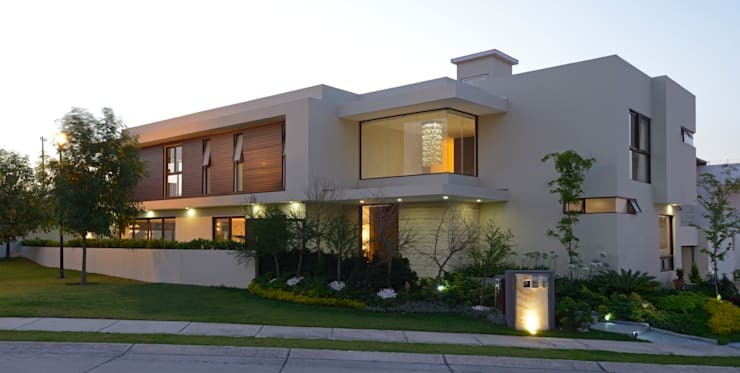 The solid rectangle of concrete combines seamlessly with the modern design of the house to create a stylish contemporary residence. Bricks are a natural material and therefore an excellent choice for a walkway that runs through a lawn. The unique block pattern of this path, dotted with plants, gives a designer touch to the entrance and harmoniously blends the path with the décor of the house. Lightweight concrete is an easy-to-use new material that makes for quick construction, and is also resistant to higher temperatures. Bordered by low shrubs and bushes on either side, it is indeed an elegant walkway! Hilly terrain requires a flexible design for the entrance path. Autoclaved aerated concrete is a good option in this scenario. 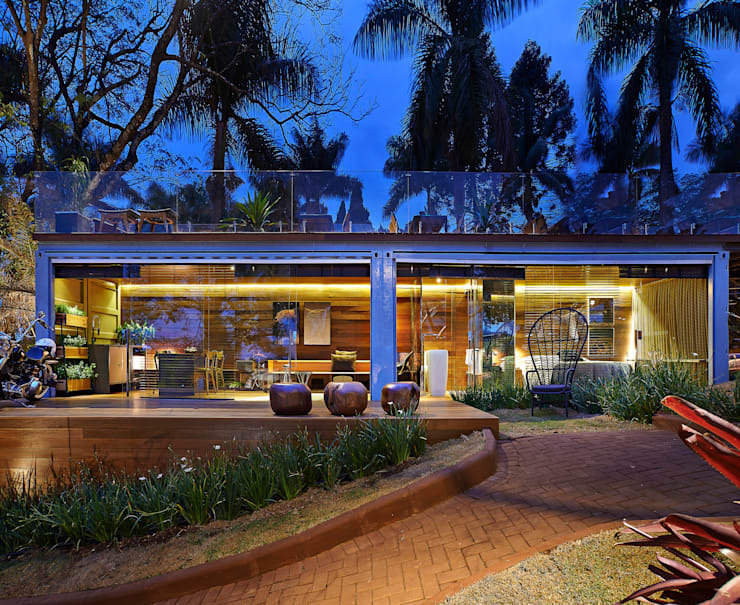 Designed to resemble brown bricks, this rustic path blends with the rural notes and warm ambience of this gorgeous glass-fronted house. 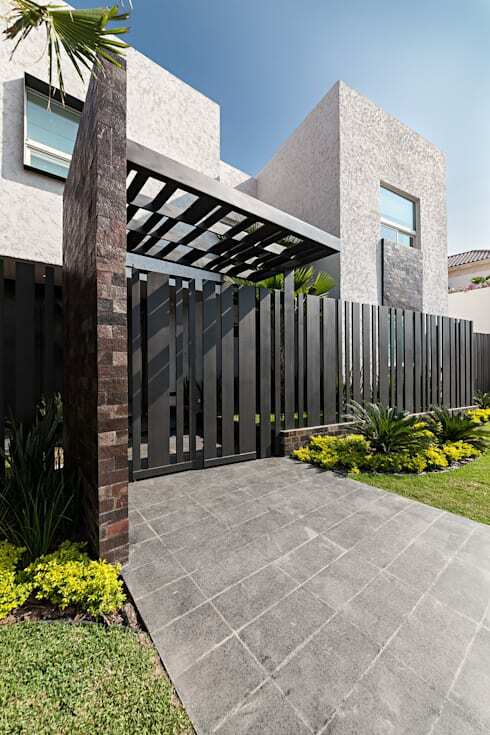 Big grey rectangular blocks of reinforced concrete are strong and look stylish in front of a contemporary grey house with a chic black gate. This kind of path is also extremely suitable as a good driveway! A stepladder design for the entrance path is a beautiful way to embellish the façade of your house! 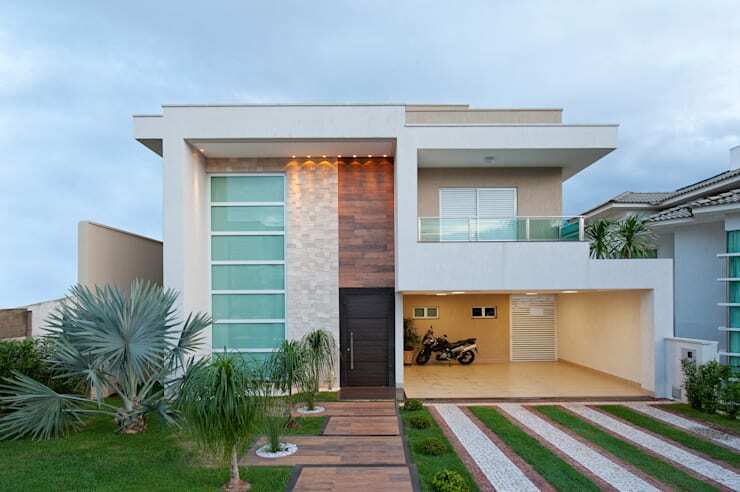 The thin strips of grass between the elegant rectangular sheets give a beautiful natural look to the pathway, which complements the façade stunningly! These 8 creative, sturdy and stylish entrance paths will work well with a variety of houses, whether contemporary or traditional, urban or rustic – what marvellous inspiration for us! Take a look at some other amazing ideas here: 6 clever ways to merge your kitchen and living room!